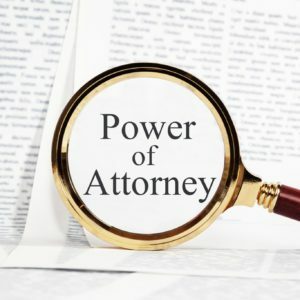 Doesn’t a power of attorney have to be “durable” in case the one making the poa becomes incompetent? I see no reference to durability in your article on this subject. The form provided by NYSLRS is a durable power of attorney. Under a durable power of attorney, the agent can act for you even if you become legally incapacitated (see page 1 of the form). If you are considering executing a POA, we recommend consulting an attorney. The article on Power of Attorney in this issue of New York Retirement News stipulates that you require the Statutory Gift Rider for certain transactions. Many of us have Powers of Attorney that were executed prior to the change in NY State Law that requires the Statutory Gift Rider for new POA’s. However, we were told that the powers granted in our POA’s (that were executed prior to the change in the law) were still valid, including the gift gifting authority that used to be allowed without any rider. As the article is written, it is implied that you will not honor our old POA’s and that we have to execute a new one with a Statutory Gift rider if we want our agent to contunue to have that authority. Is this true that you will not honor our old POA’s in this respect? For information about what is acceptable outside of the NYSLRS form, please email our customer service representatives at http://www.emailNYSLRS.com.